Why are more and more people keeping chickens? The interest in hen keeping has soared in the last decade, with more and more homeowners (including a high percentage of city folk) finding appeal in the self-sufficiency of chicken keeping. Perhaps the recession has something to do with this trend as, besides the initial outlay (hens, coop, food etc), keeping chickens is fairly economical. When compared with owning a dog, the on-going costs and daily demands of a smallholding of hens are much lower. Chickens are great waste disposals (if we ever run out of pellets there is always something else they’ll eat) and have a relatively sound constitution (meaning few to no veterinary bills). Either that or more people are wanting to re-visit an age when growing produce in the backyard was a standard way of life. If you are lucky enough to own a brood of chickens yourself then you will be all too aware of their unique quirks and characters. Chickens are a lot of fun, even with all that mess and noise! They are also easy to care for and their nitrogen-rich manure helps to fertilise the soil - bonus! Forget their capacity for production for the moment, and concentrate on the delightful chicken tendencies you hear talked about. I have four hens myself and it is easy to while away an afternoon watching them pottering about on the lawn, chasing after flies and hopping from pillar to post. While the promise of golden-yoked eggs won me over initially (as it probably does most people), the real bonus now is getting to witness the personalities of the hens themselves! The Pet Food Manufacturers’ Association estimates that half a million people in the UK now own chickens. While many of these will purely be production hens whose eggs are sold on, many will be dearly beloved pets and companion animals. Unashamedly, my hens are all named and are coming to the end of their egg-laying days. I couldn’t possibly imagine getting rid of them and losing the daily dose of humour and affection they provide. Mine were purchased from a country fair but while researching the new fashion for owning hens, I happily discovered that adopting battery hens was an option. The British Hen Welfare Trust is a charity that rescues 60,000 battery hens destined for slaughter every year, placing them in caring homes to live out their days. The BHWT’s founder, Jane Howarth, describes the ‘massive increase’ in adoptions over recent years, going from 5,000 re-homings in 2005 to nearly 60,000 today. If you are thinking about keeping chickens, consider adopting ex-battery hens that have been deprived the freedoms to roam and forage for the best part of their egg-laying lives. To sponsor a chicken or donate to the BHWT, click here. Now, the good news is that when it comes to starting up, there are ways to reduce the costs to keep the initial outlay to a minimum. This means that everyone can reap the rewards of chicken-keeping! By adopting ex-battery hens you are already alleviating some of the costs, as these can be acquired very cheaply (the BHWT re-homes for free, but donations are welcome). Many first-time owners prefer to construct their own hen coops and runs and, again, this removes a big expense. As long as the chicken enclosure is secure enough to keep out predators, there is no need to spend a fortune. Commercial chicken feed can also be substituted for other foods including vegetables, fruits, grains, oats and various other foodstuffs (chickens are omnivores and so will eat pretty much anything in moderation). VioVet stocks a great range of products for chickens and poultry, from feeds and treats to quality hen homes and feeders. Providing everything but the chickens themselves, look no further for all your start-up supplies and essentials! For Poultry Hen Homes and Runs, VioVet stocks a wide selection made from the highest quality materials. We also supply a range of chicken-friendly cleaning, disinfecting and freshening products to help keep the habitat sanitary and free of odours. Grits and Minerals can be purchased cheaply from us, as can Pecking Blocks and seed treats. These enrich the chicken’s environment by supplementing the daily diet and helping to alleviate boredom. A great selection of durable drinkers and feeders (including trough feeders for multiple birds) are also available from us, as well as novelty items, wound treatments, care books and supplements. 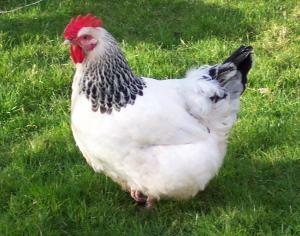 To learn about common chicken health concerns, read our relevant post in the Knowledge Base. We have 14 hens including 4 re-homed ones. They have 7 acres to roam around in and re are collecting 11 eggs daily. The other 3 are laying in next doors stables but that's ok we have enough! I have three hens, one is an ex-batt and she has now reached the end of her laying days. Despite this, Millie continues to be an enchanting and entertaining pet. The girls have the freedom of our small suburban garden, and kitchen! and live happily alongside our two dogs. The two laying birds provide enough eggs for my husband and myself and they are the only pets which actually earn their keep!